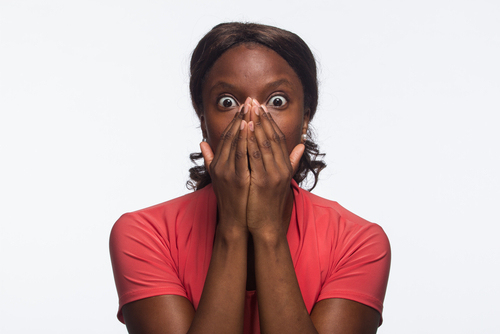 A lady who thought she was coming to Lagos to have fun, has revealed her surprise after she claimed she was deceived by a guy she met online. 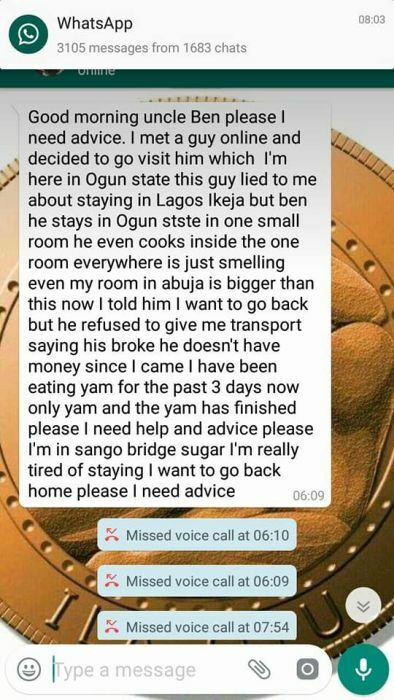 According to her, she met a guy online and decided to visit him in Lagos not knowing he stays in a one room apartment in Ogun state. 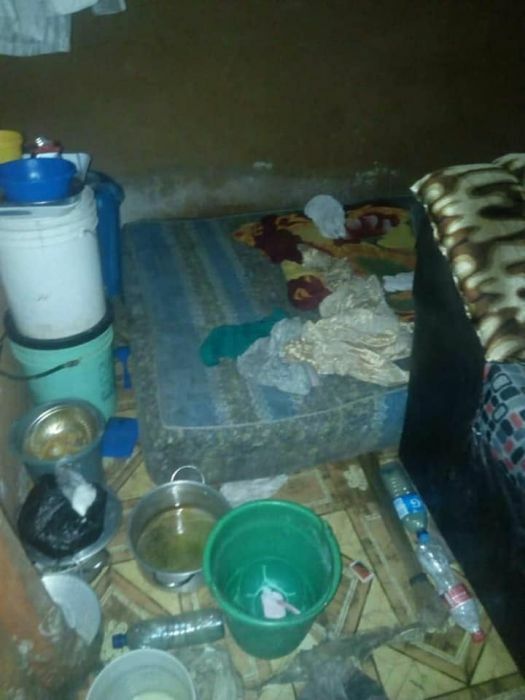 This guy lied to me about staying in Ikeja, Lagos but Ben he stays in Ogun state in one small room, he even cooks inside the one room, everywhere is just smelling, even my room in Abuja is bigger and neater than this. Now I told him I want to go back but he refused to give me transport saying he is broke he doesn’t have money. 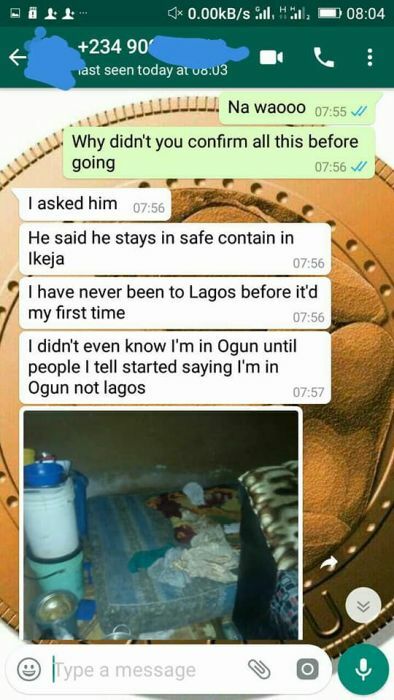 He said he stays in safe contain in Ikeja. I have never been to Lagos before, it was my first time. I didn’t even know I’m in Ogun state until people started saying I’m in Ogun not Lagos. 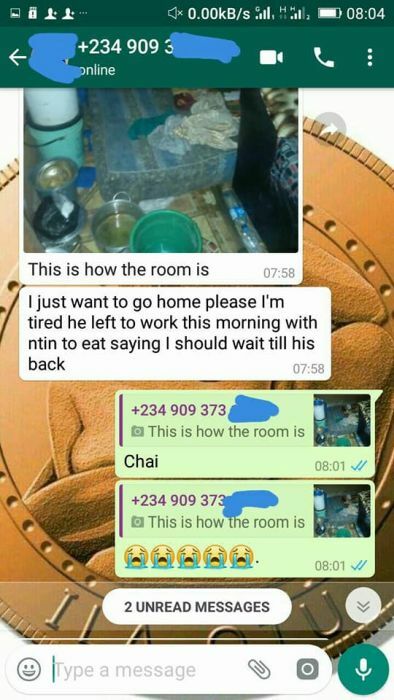 I thought I’m coming to lag to have fun after all he promised me ooooo. I didn’t know I’m coming to suffer”..